C2 ATOM was named 2019 ITSM leader by Info-Tech Read more. 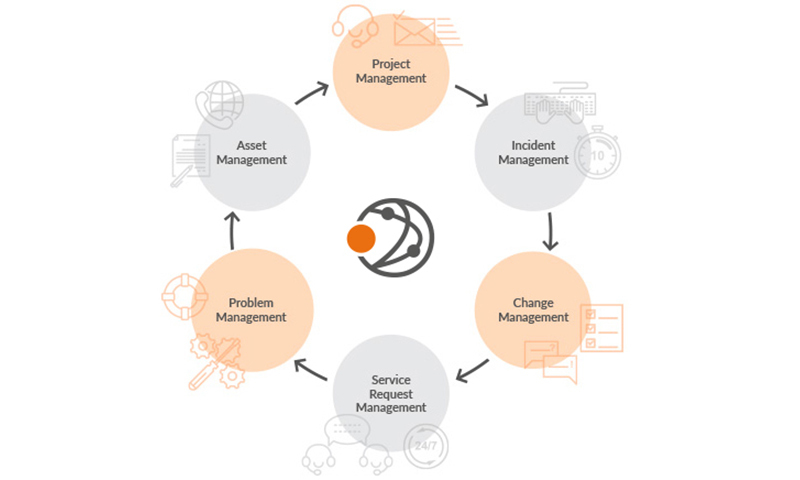 C2 ATOM is an integrated business service management solution (ITSM) that supports and automates your business processes, exceeding customer expectations. Easily manage all types of requests, changes, assets, inventories, tasks and projects within a single platform. Manage all types of requests with a better overview of your activities. Create custom triggers, dynamic workflows, and asset automation that will take you to a whole new level of user support. Automate unlimited delivery of your services by supporting your code-free and easy-to-use business rules efforts. Whether your requests are IT, related to human resources or financial, C2 ATOM can support multi-departments services. Dynamically visualize the reliability of your inventories and easily manage the changes made. Measure your teams performance thanks to custom and built-in reporting features. Give your team robust tools, workflows, fast search tools and automatic requests categorization. Provide your customers with a easy to use portal for sbmitting requests or report incidents. Requesters empowerment can only make you better. Enjoy customized reports, dashboards, custom searches, versatile export and integration modes for day-to-day tracking of your results. Benefiting from workflows and standardized processes through C2 ATOM helped our team be more efficient. Is your team overloaded with tasks? Don't be slowed down by a large amount of requests. Find smart ways to make your agents perform better and reduce the volume of incoming tickets. Tired of your old service desk system? Easily integrate existing systems with efficient API-Rest and web services.